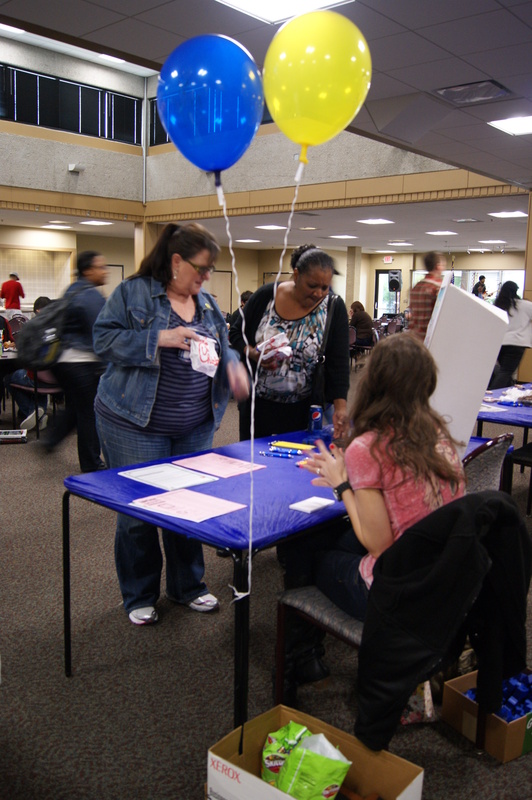 The Second Annual Contest Powwow will be held at 2 p.m. April 13 in the Student Center and is open to the campus. 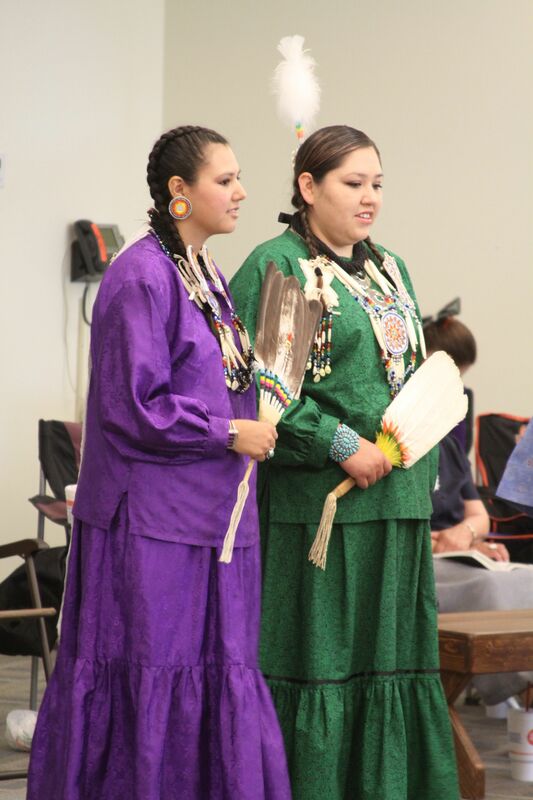 Organizers are hoping to replicate the success of last year’s powwow that saw dancers from around the state and actors Eddie and Michael Spears. The dinner of Indian tacos at 5 p.m. is free and open to the public. The Grand Entry at 7 p.m. will be led by the Seminole Nation of Oklahoma Color Guard, with tribal princesses and dancers parading into the arena for the dance. The dance competition will follow and displays of jewelry and crafts will be up throughout the event. “In just two short years, the American Indian Association has developed one of the most talked about events within the Native American community, and what sets Rose State apart is the kindness and service to our guests,” Alan Neitzel, a member of AIA, said. Powwow organizers have some etiquette tips for attendees. Allow tribal elders and non-tribal seniors to get their food first. Assistance in getting food is available to seniors. Do not touch a dancer’s regalia, even if something falls off. There may be customs that exist when retrieving a fallen item. Photography of the event is welcome, but ask before photographing those outside of the circle. AIA’s purpose is to increase RSC’s presence within the Native American community and be a positive reinforcement for students. Gift ideas and date choices are always tricky in relationships, and no holiday makes that more obvious than Valentine’s Day. Standbys like jewelry, flowers, chocolates, cards, dinner and a movie will usually do the trick, but if you really want to impress the one you love, give them something a little more thoughtful than a heart-shaped box of sugary sweets. Valentine’s gifts can be even scarier if the date comes in the beginning stages of a relationship. If you’ve only been dating a short time, giving her a diamond necklace or him plane tickets six months in advance could get you in trouble, or you might have an awkward moment on your hands. Some date ideas for Bricktown would be to eat at “The Melting Pot” with some ice cream from “Marble Slab Creamery” afterward. If you want to go to a wine bar and bistro, “The Mantel” is a great choice. Italian food is always a great choice, so maybe “Zio’s Italian Kitchen” would fit your date’s expectations. Know your date and if you don’t know what they like, ask! If they don’t like Mexican food, don’t eat Mexican. As for gift ideas, it’s good to know your date or loved one well. Keep your ear out for little things they might mention they want. The days of cassette tapes are long gone, so give the modern version with songs on a USB stick. Homemade thoughtful wall art almost always makes a great gift. Get quality square canvas prints of your favorite photos that they’ve snapped and arrange them on a canvas. You can also make a romantic coupon book full of your ideas. You could have one coupon saying date night, then maybe one that says free back rub, to be used whenever they want. If you aren’t in touch with your creative side, the traditional flowers, card and teddy bear are still great. Global Oklahoma featuring Haiti will occur on October 6 in the campus mall! Check out the video for a preview of foods and entertainment available the day of the event! Many of you may have noticed that the current Java Rose is distinctly different from the former Rose Café. The transformation happened over the summer break as Carson’s Catering Services took over the management of the cafeteria and Rose Café. The newly dubbed Java Rose serves Starbucks coffee and associated items such as muffins, salads, and pastries. “We took what worked for OCCC and brought it to the Java Rose,” Kristen Starkz, manager of Java Rose, said. The convenience of being able to get coffee and food seems to be a positive selling point for the night class students on campus. “I’ve had a lot of customers over the last couple of weeks and got a lot of positive feedback,” Starkz said. Students, faculty, and staff may have noticed the high prices in Java Rose. “The pricing of the Java Rose are the same as those on the OCCC campus which has been popular among students there,” Starkz said. The difference in pricing is in the packaging of the food. Before the transition, a customer would be able to get a basket deal where a hamburger and order of fries was offered together instead of separately. Now there are no combined prices for the food. The drawbacks for some students who visit Java Rose may be the price of the gourmet coffee. “Why would I buy a $5 dollar coffee from Starbucks when I can get a $10 dollar bag of Millstone and it tastes just as good,” Melissa Buchanan, Pre-education major said. The distinction in coffee comes from the type of coffee bean and its differing effects. Espresso, which is used in much of the Starbucks and Java Rose coffees, is more stimulating than that of regular coffee. The amount of espresso used in a cappuccino is less than the amount of milk used because of its potency. Many cultures have differing versions of espresso, for instance Arabic coffee has ten times the jolt that espresso does and consequently is served in smaller portions. Other negative responses to Java Rose have been attributed to the portions, or serving sizes, of its food. An increase in cost of groceries is apparent throughout the state and the nation; and reflects Java Rose’s needed price increase. While the trend of gourmet coffee may not suit some, avid coffee enthusiasts will help keep Java Rose profitable.